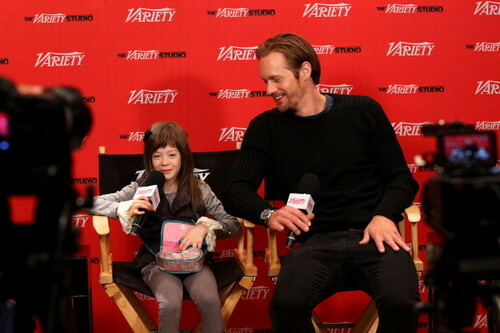 Alex & Onata Aprile at TIFF - Variety Studio Presented 由 Moroccanoil At Holt Renfrew. . Wallpaper and background images in the Alexander Skarsgård club tagged: alexander skarsgård 2012 onata aprile what maisie knew tiff photos. This Alexander Skarsgård photo might contain 标志, 海报, 文字, 黑板, and 文本.